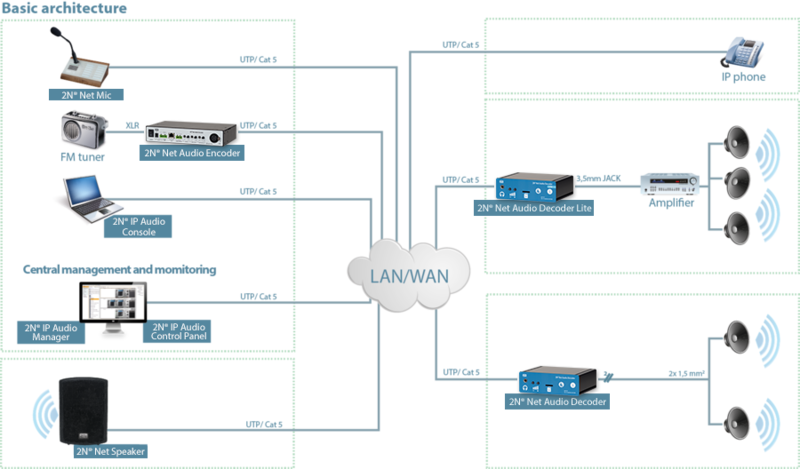 2N Public address can be operated as a complete solution or integrated with existing paging and public address systems. It uses LAN, WiFi or internet networks instead of 100V cabling. Fully IP hardware console can be used for live announcements or broadcasting pre-recorded messages to different zones.